Can you imagine the holidays without fir, spruce and cedar trees decorated with colorful ornaments? 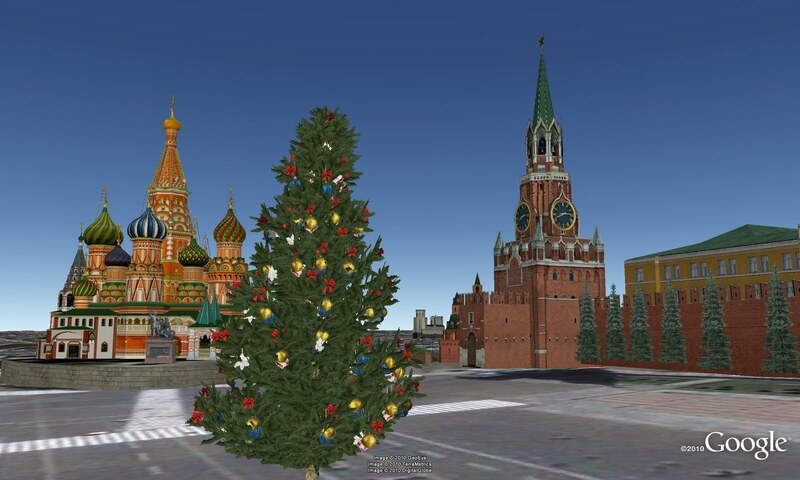 Beyond tracking Santa, we’re getting into the spirit of the season by placing 3D holiday trees in more than a dozen places on Google Earth 6. 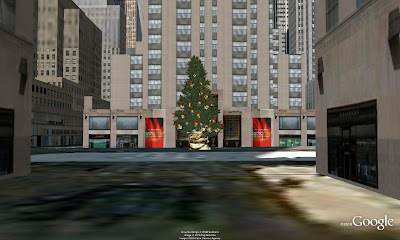 Check out the Rockefeller Center in New York City. The only thing that would help make this scene even more festive would be crowds of people bearing shopping bags and a light dusting of winter snow! And don’t you just love how the ornaments on the New Year Tree in Moscow’s Red Square reflects the vibrant colors of Saint Basil's Cathedral? One of the most interesting places where we’ve added holiday trees is Austin, Texas, along highway 360 near 2222. Every year when the holiday season starts, the cedar trees along this section of highway called Loop 360 are mysteriously dressed up in tinsel, ornaments and lights. Some say elves are responsible for spreading this holiday cheer, and we’re excited to celebrate and tribute the fun local activity with digital replicas of the trees! In all, there are fourteen places where you can find holiday trees in Google Earth 6. Can you find them all? Is this tree available in the 3D warehouse? That picture of the Red Square is just great.